A fierce trail shoe to add to the repertoire. 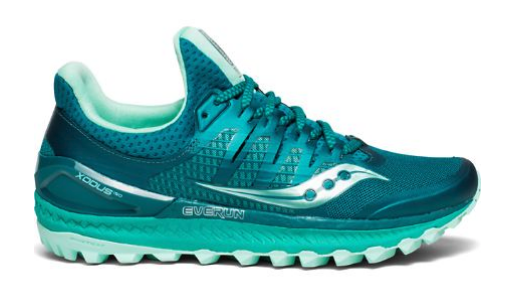 The last time my feet felt the smooth ride of a Saucony trainer was back in 1999 with the Grid Hurricane. 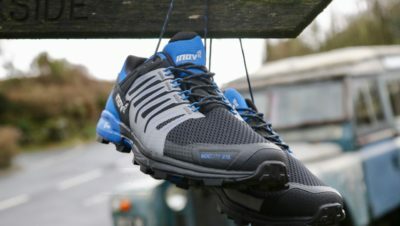 They were great shoes back then so I was excited to slip into a pair of the Xodus ISO 3 and take them for some miles on the fells, tracks and trails after almost 20 years. 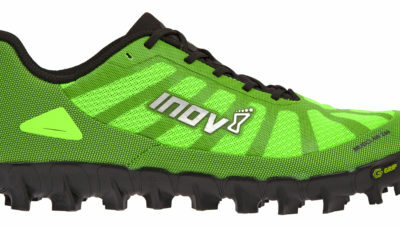 At 366 grams, my initial reaction was that this would be a bulky shoe, but the Xodus ISO 3 felt comfortable and agile. 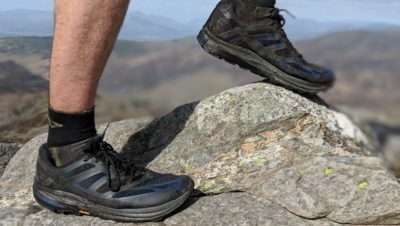 From fit to ride, these shoes performed well over a wide range of terrain. I was extremely happy with the fit of this trainer. The ISOFIT upper provides unmatched midfoot and heel comfort. It was the first thing I noticed when tightening up the laces. It creates a sock-like fit while still providing the support and protection of a shoe. I especially enjoyed not having to come up with creative ways to tie my laces to lock my heel in. The toe box is wide, and provides ample space for the forefoot. 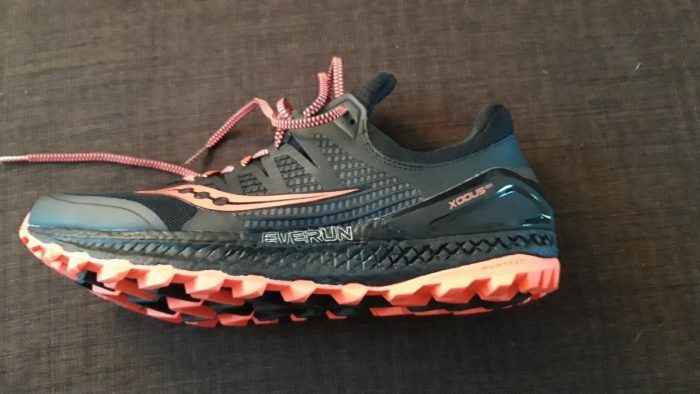 I tend to have a narrower foot; however, with the conforming fit of the ISOFIT midfoot, the wide toe box was not an issue and even preferable on the longer runs. The uppers were soft and seamless, which created an immediate out-of-the-box comfortable fit. I used the Xodus ISO 3 on a variety of terrains: road, track, trails and trackless fells. It performed well on all surfaces. The tread was a welcome surprise: aggressive enough for the steep and often wet fells, but still more than suitable for a spin around the city or country tracks. With a slightly thicker midsole, I was worried about feeling “disconnected” from the ground. 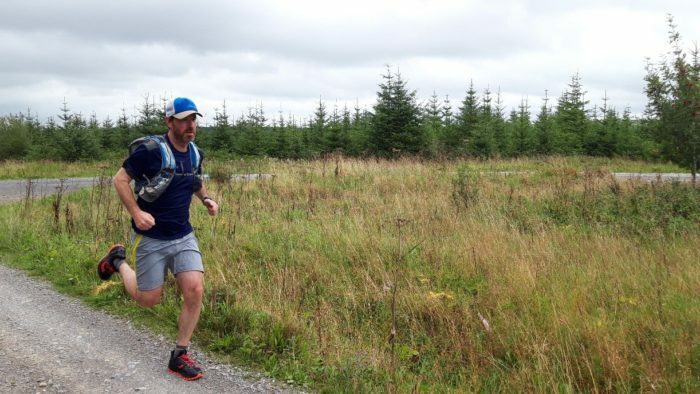 However, the EVERUN TM midsole conformed to the contours underfoot and provided confident stability even on the roughest of terrain. The sock-liner cuff was an added bonus, keeping out pesky rocks and pebbles whilst descending more rocky terrain. I enjoyed being back in a Saucony trainer after a long hiatus. The Xodus ISO 3 midfoot and wide toe box would accommodate a variety of foot types, making this a very versatile trainer. It is a durable shoe for someone looking for a trainer they can take pretty much anywhere. After running in these for the last month, it will definitely not be another 20 years before my next pair.